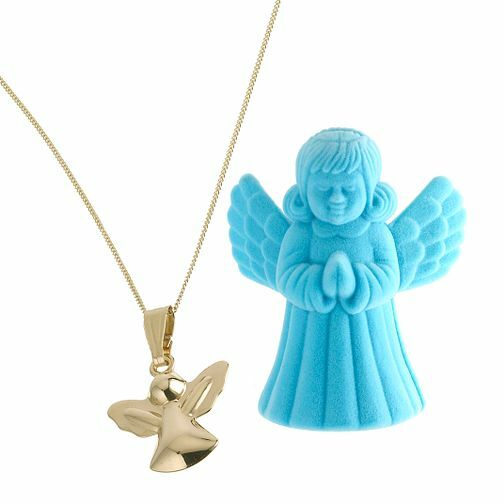 A fun and fashionable 9ct yellow gold angel pendant in a stylish blue angel presentation box. 9ct Yellow Gold Angel Pendant In Box is rated 4.3 out of 5 by 4. Rated 3 out of 5 by Anonymous from Good product Nice gift for special occasion. Lovely packaging. The quqlity coukd be a bit better. But for that price is ok.